Book three in the magnificent Empire Trilogy by bestselling authors Raymond E. Feist and Janny Wurts. Welcome to the final play of the game. Now revered as the Servant of the Empire, Mara of the Acoma is in more danger than ever before. Not only does she face threats from the brotherhood of assassins and the cunning spies of rival ruling houses, but she has attracted the attention of the awesome Assembly of Magicians, who see her as a threat to their power. But Mara has not reached her position through luck or accident of fate. Surrounded on all sides by enemies determined to bring her down, Mara must draw on her deepest resources to secure her place as Mistress of the Empire once and for all. 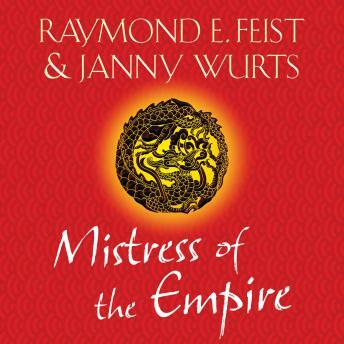 Mistress of the Empire is the stunning final book in Feist and Wurts' epic trilogy - one of the most successful fantasy collaborations of all time.